Controlling the pollutants in your home can help reduce your risk of illnesses. If you’ve been exposed to a pollutant, you may experience headaches, dizziness, fatigue, and irritation of the nose, eyes, and throat immediately after exposure. Some develop respiratory diseases, cancer, and heart disease after years of living with poor indoor air quality long-term. Read on for some things you can do to improve indoor air quality in your home. Vacuum your floors on a regular basis to remove pollen, dust, pet dander, dust mites, and other indoor allergens. Your vacuum cleaner should have a strong suction and rotating brushes so that dust and dirt doesn’t get blown out in the exhaust. Mop each time after you vacuum to improve indoor air quality. 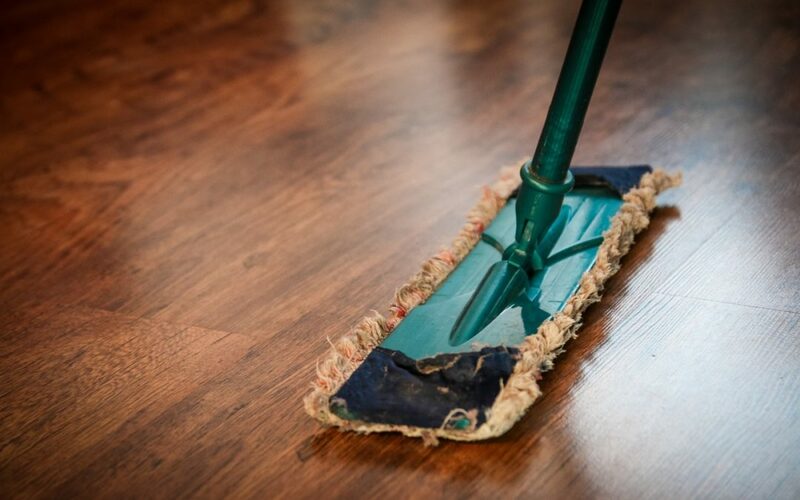 Mopping will pick up dust and dirt that your vacuum may have missed. You should put down a large floor mat at every door to improve indoor air quality. Chemicals, dirt, pesticides and other pollutants can be tracked throughout your home from the outdoors if you don’t use a mat to capture them when you walk inside. The humidity levels in your home should be between 30 to 50 percent at all times. If the humidity levels are high, using an air conditioner and a dehumidifier will help improve indoor air quality. Dust mites and mold like moisture. You can determine the humidity levels in your home by using a humidity monitor. Poor indoor air quality can be caused by secondhand cigarette smoke. Cigarette smoke contains more than 4,000 chemicals. You should never smoke inside your home if you want to improve indoor air quality. Even if you are smoking on the porch, make sure that the doors and windows are closed so as to not let the smoke waft in. Another source of smoke that can affect your indoor air quality is forest fires. If it is fire season and the outdoor air is smoky, make sure to keep your doors and windows closed as much as possible. JS Consulting Group serves Los Angeles, Riverside, San Bernardino, and Orange counties with home and commercial inspection and consulting services. Contact us to discuss our services or schedule an inspection.